Beyond happy to choose Asa as my driving instructor which make me pass my test on my first try! Asa is a really patient and calm instructor which made you stress free during lessons. He is also very knowledgeable and will bring you to the area where the test may take you to. Right before the test, he would also fine tune your mistakes to make you a perfect driver which pass your test easily. I was a really nervous student and Asa was my second instructor, it is all his effort to change me to become a confident and safe driver. Thank you Asa! I am beyond happy with my experience with Asa. I had previously taken lesson with Young Drivers but was unsuccessful in passing the road test, my nerves always go the best of me. But with Asa, he made me feel comfortable and confident right from the start. He is not only a great coach that will walk you through how to fine tune your mistakes and knowledgeable about the road test experience, he makes the time spent in the car fun with his great music and conversation. Without out a doubt you should take lessons from him! Thank you Asa for introducing the joy of driving to me! 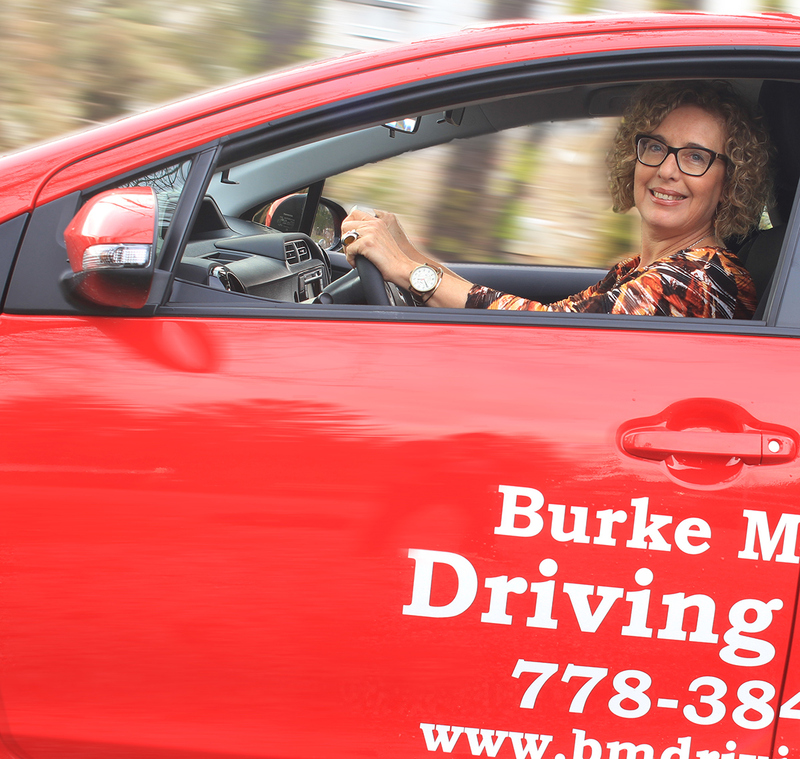 Beyond happy to have picked Asa from Burk Mountain Driving school. He's extremely patient, kind and funny. He makes driving fun with his good taste in music and funny stories. Can not recommend enough! I am so beyond happy and grateful that I choose Asa and Burke Mountain Driving School. I'm a 37 year old woman who has had a debilitating fear of driving since I was a teenager. Being a mother of two with another baby on the way I finally decided to face my fears so I could give more to my kids. I signed up for lessons with Asa after reading the reviews and thanks to his patient and straight forward teaching approach, I passed my first road test (with hardly any demerits!) at 37 weeks pregnant! Asa acknowledged my fear and respected it but would not let it hold me back and very quickly pushed me out of my comfort zone. His teaching method is calm and relaxed while ensuring you always know what you're supposed to be doing and why. We also enjoyed good conversation and great music without detracting from the lessons! I felt fully prepared for my road test, as Asa took me to all of the same locations ICBC uses and so I knew what to expect which helped ease the nerves! Asa was always positive and honest with his feedback and I honestly don't know that I would have passed my road test so easily, with the limited amount of lessons I was able to squeeze in between working full time and being a mom, had it not been for Asa. I will gladly recommend him to anyone I know and am so thankful for his time and patience. Very professional service, I passed my first test thanks to Asa and his school!